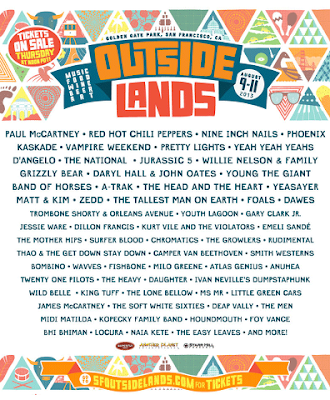 CONCERT ADDICT CHICK: The Outside Lands 2013 Lineup Is HERE!!! The Outside Lands 2013 Lineup Is HERE!!! It works out SO perfectly that the 2013 Outside Lands lineup was released today (the day after I returned from the 1st weekend of Coachella...stay tuned for that massive, fabulous post tomorrow!!) 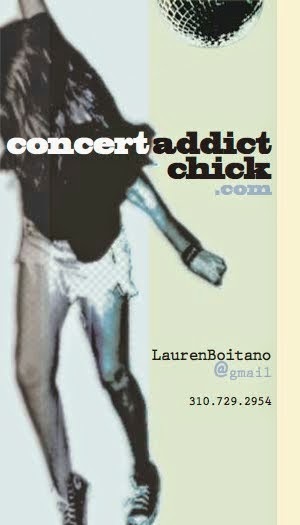 & that pretty much every artist I missed at Coachella for 1 good reason or another (i.e. Yeasayer, Band of Horses, Sigur Ros, Phoenix, Vampire Weekend, A-Trak, Kurt Vile, Disclosure, etc) is playing Sasquatch &/or Outside Lands so, in the end, I'll get to see all of them this year!